I brought Bok Choy from the wet market. I wanted to do soup / noodles with it. but some reason keep postponing it. 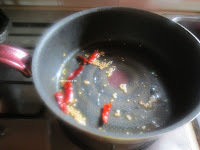 In the end I have decided to do simple stir fry with it. It tasted so good. 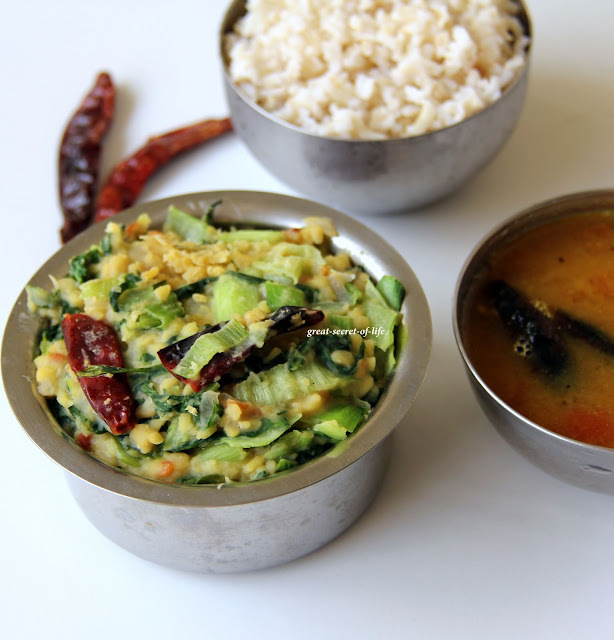 My kids who are all big fan of green leaf vegetable loved it too. Bok Choy is very high in nutrients. After many years in Singapore I seldom buy green leaf vegetables other than what I know. Last year my sis was here and she was so happy to see so many leafy vegetables in the wet market. 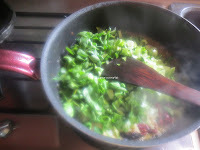 She is the who gave me details about how good bok choy is.. from there on I buy this leafy vegetable very often. 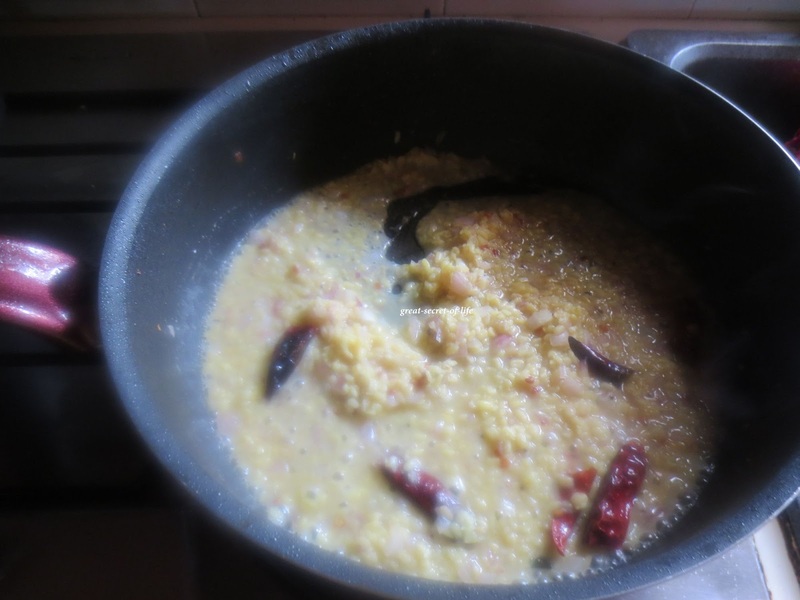 Pressure cook Moong dhal with enough water and turmeric powder. Make sure you don't over cook. Heat the kada and add oil. When Oil is hot add mustard seeds and let it pop. 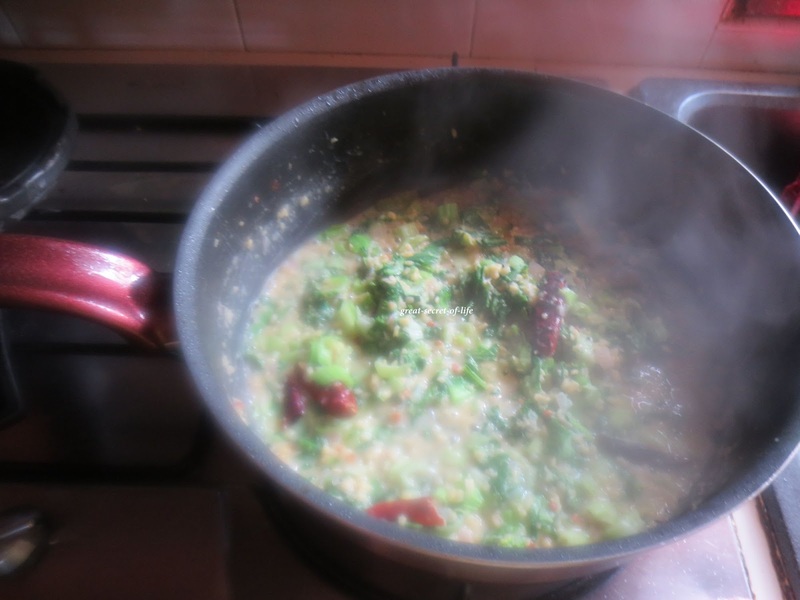 When it pop add urad dhal and fry till it is brown. 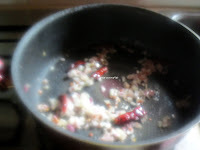 Add Garlic and fry till it is slight brown color. Add Onion, red chillies and fry till is transparent. 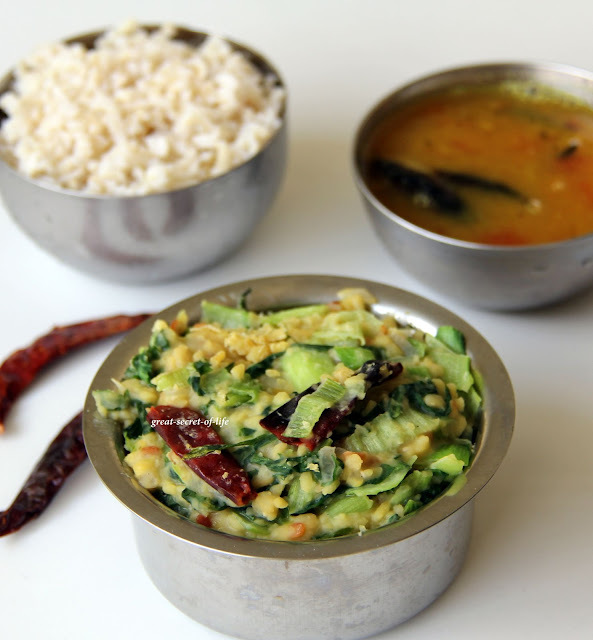 Add cooked dhal and chopped leaves. Add salt and let it cook. Wow... I had no clue Chinese cabbage is called Bok Choy! 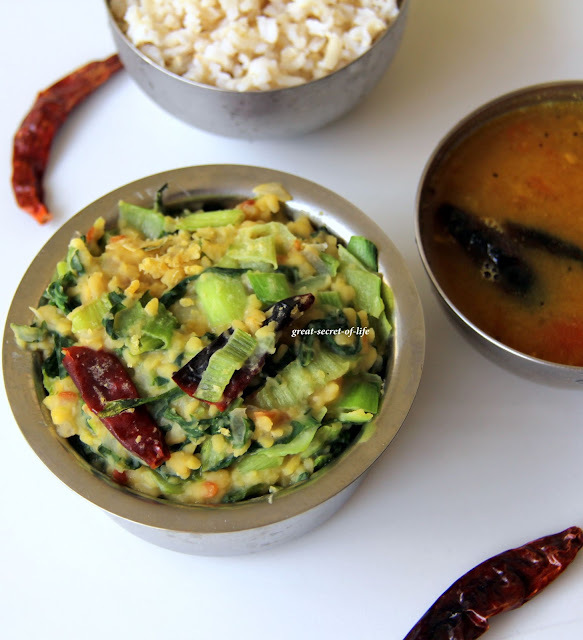 Such an interesting name.. and glad to find a recipe here as even I have seen this leafy vegetable in my local market but havent ever tried making anything with this. Now, I guess I will give it a shot. Looks very nice! I too have seen this veggie in my market, but never buy it.. This kootu looks good, guess I too can buy this from now on !